The Aria mosaic tile makes for an excellent choice for your home. 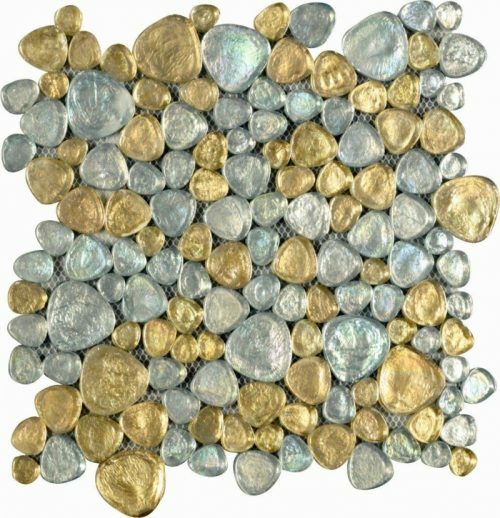 This classy glass mosaic tile features silver and gold laminates against an iridescent and rough surface to replicate the look of natural raindrops. Adding this attractive mosaic to any bathroom or kitchen will become an instant focal point. It offers a glossy glass finish that will add a little glamour to any space it is installed in. And, it will do very well to complement contemporary décor. It is available in a standard size of 29.1×29.2cm and is sold per piece. The Aria mosaic tile offers a great blend of style and functionality. It is designed to the best of standards using modern manufacturing techniques. It is best suited for installation as a wall tile and is suitable for use in bathrooms, kitchens and wet rooms. Trust that the Aria mosaic tile is a superior grade product which is built to last. 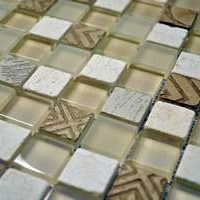 For a classy glass mosaic tile in Perth, look no further than the Aria mosaic tile. Buy this mosaic at a competitive price from our online store today to take advantage of our free delivery across Perth Metro!